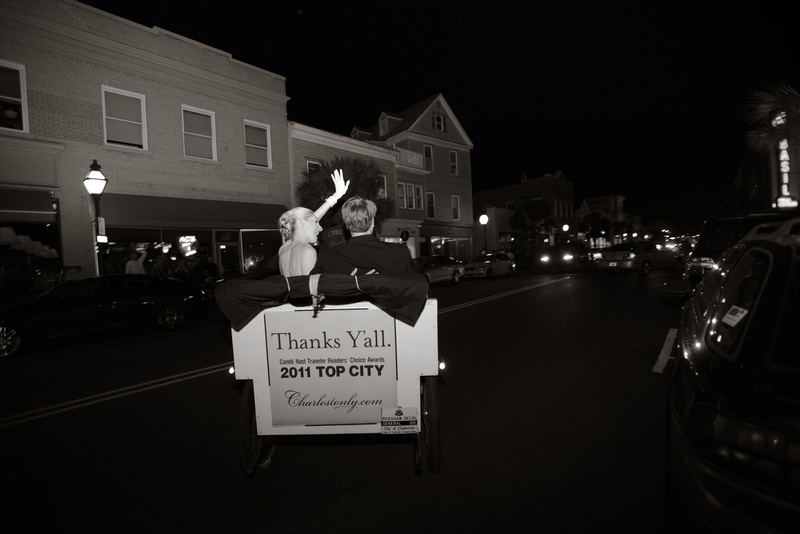 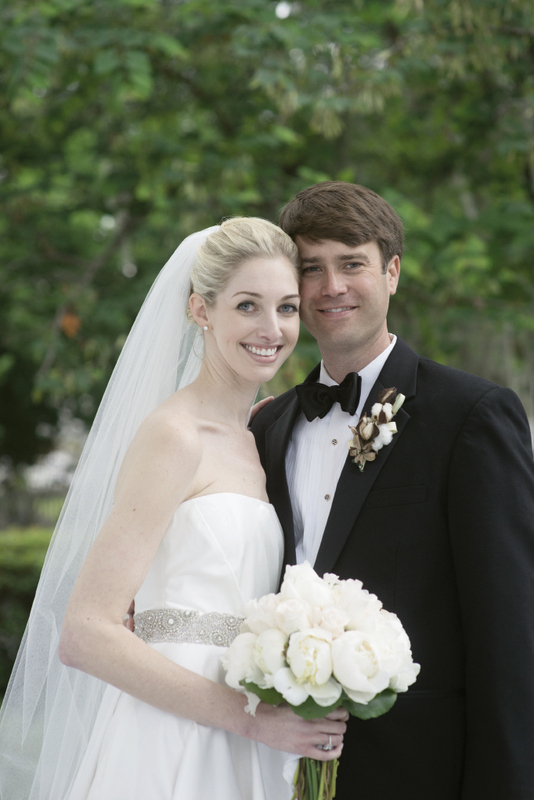 Road trips led to romance for Atlanta residents Laura Phillips and Jack Murphy who got to know each other carpooling to visit mutual friends in Charleston. 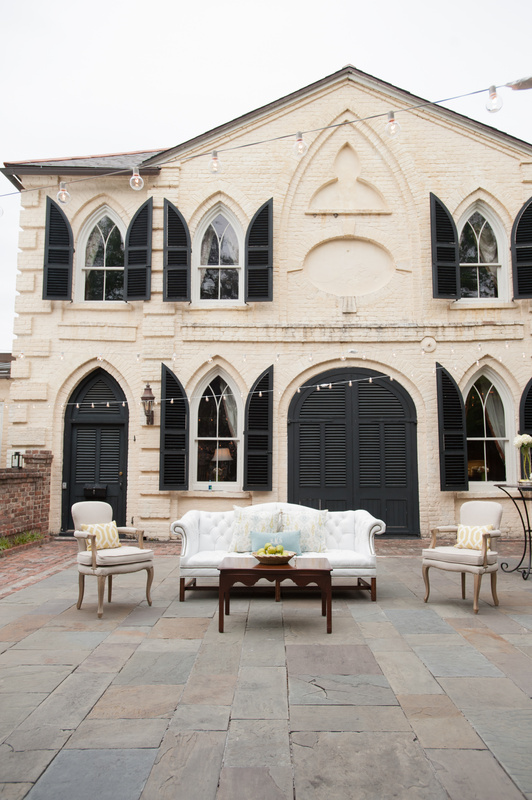 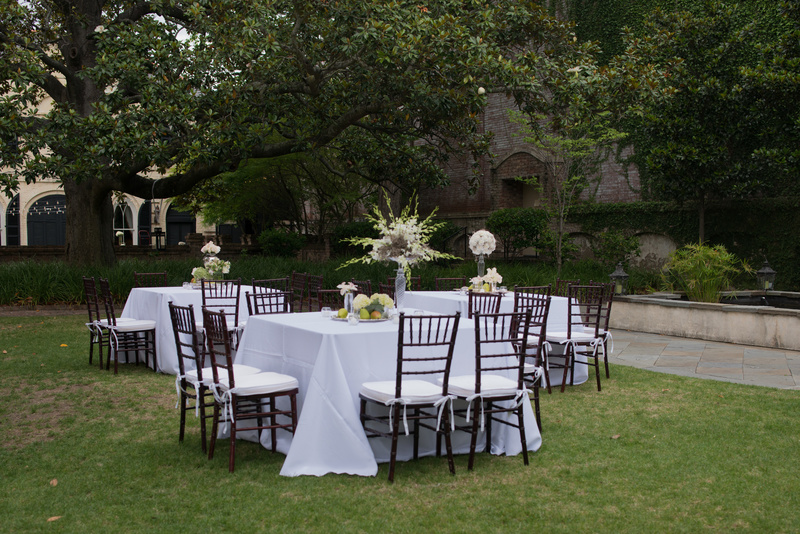 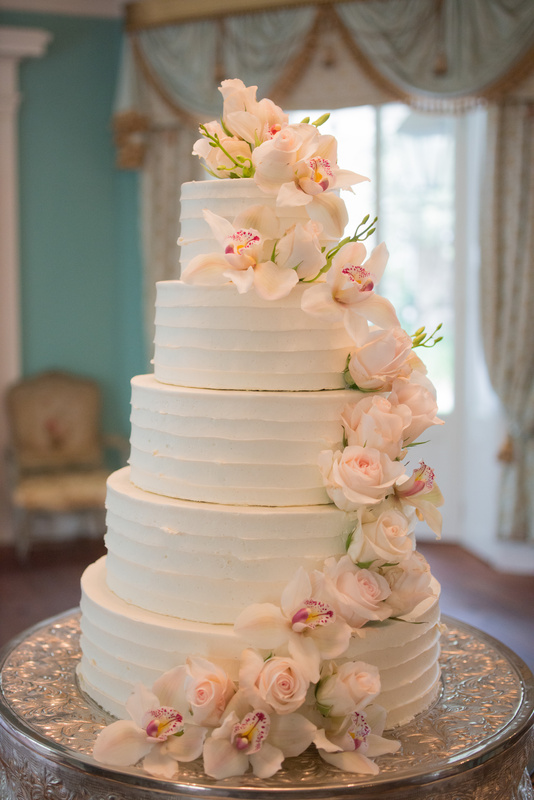 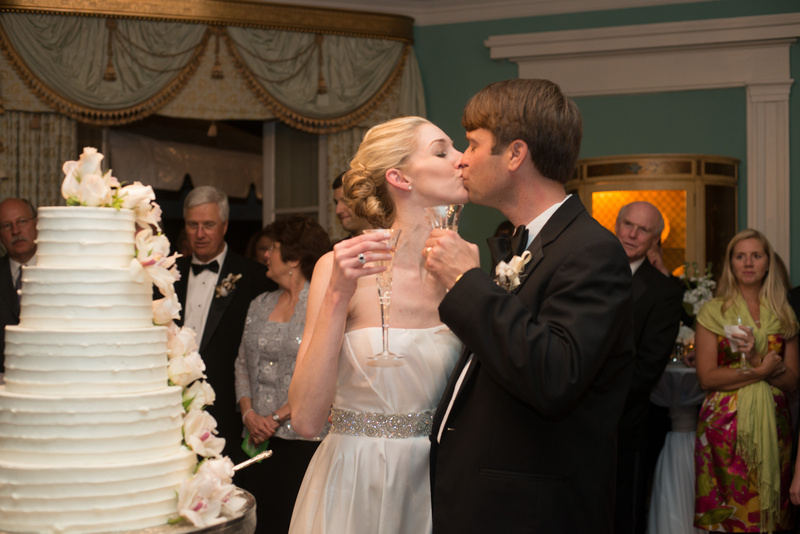 After the couple became engaged, they planned a Holy City wedding with a reception at The William Aiken House dressed in white and crisp spring greens (Laura’s favorite color), plus accents of pale blue. 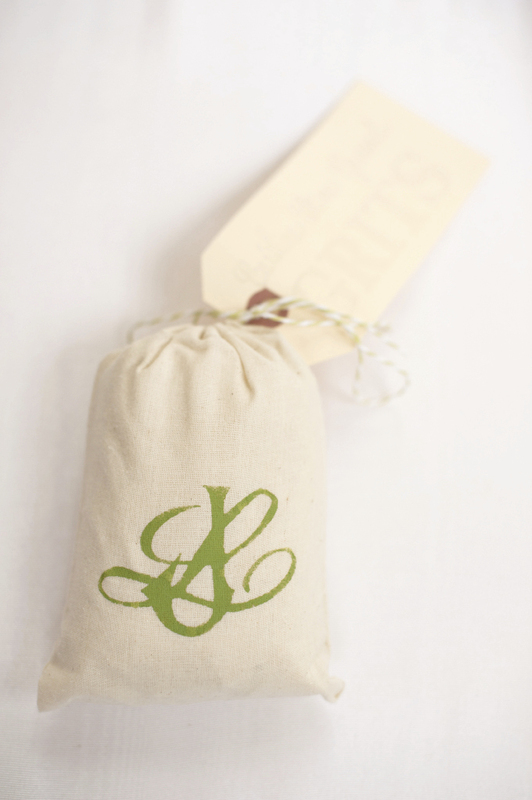 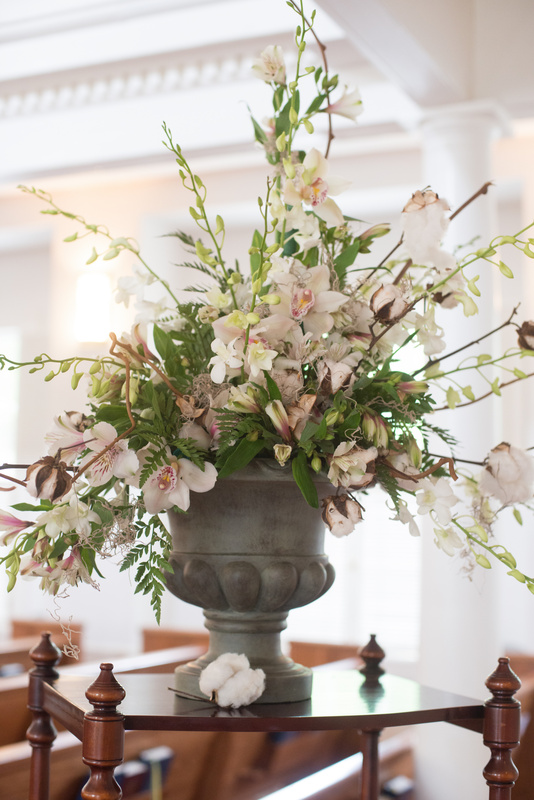 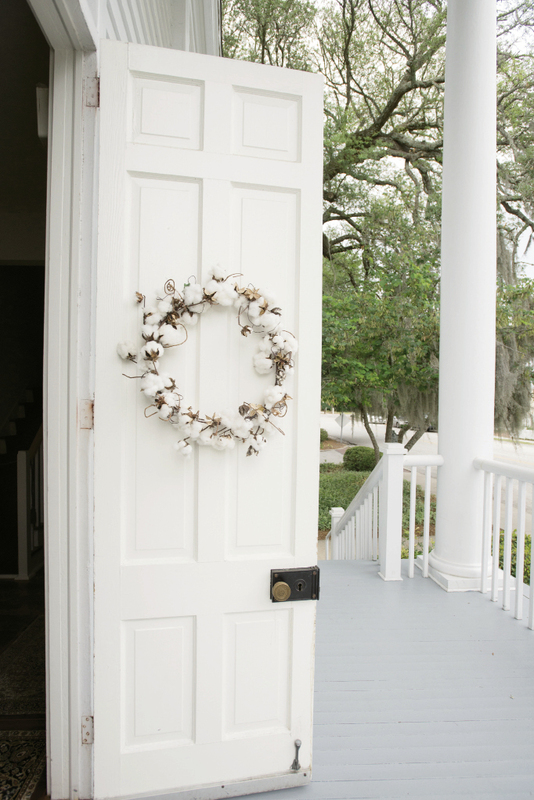 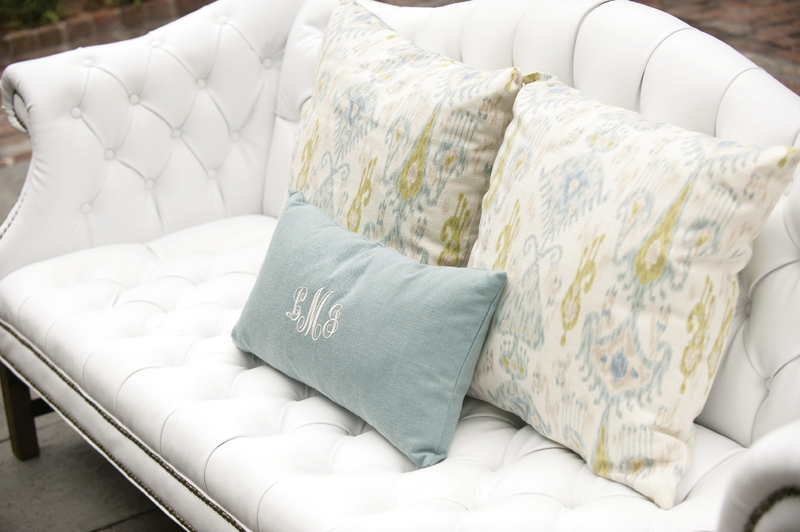 For décor, Laura told planner Mary Sue Henderson of Southern Protocol that she gravitated toward simple, formal looks. 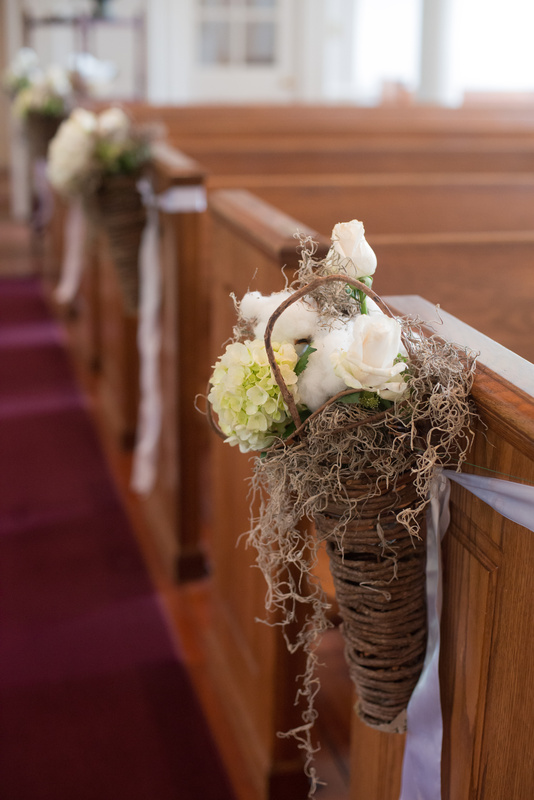 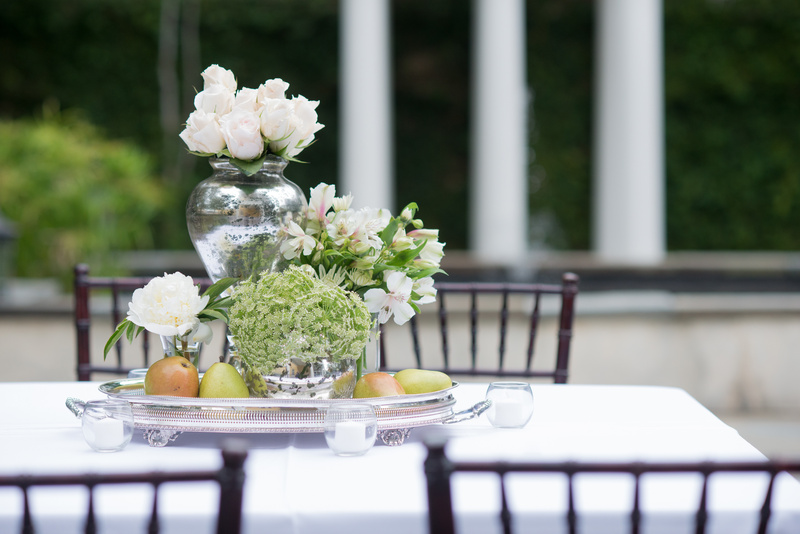 “I thought of my mom and grandmothers polishing their silver, pulling out crystal and mint julep cups, and filling vases with beautiful flowers,” says Laura. 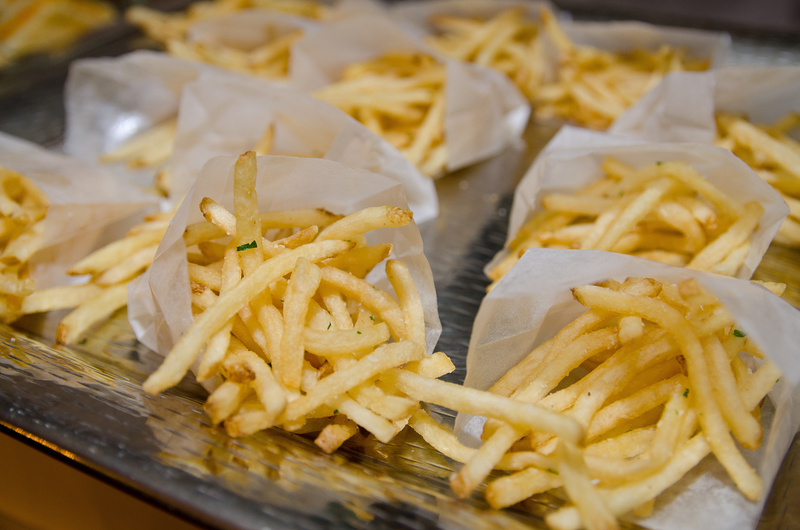 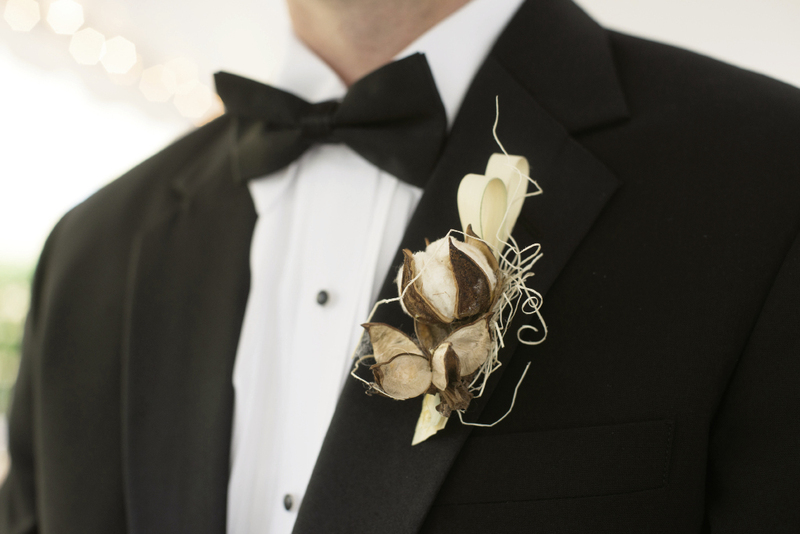 Jack’s mother picked cotton from the family’s farm in Stuckey, South Carolina, to tuck into everything from boutonnieres to wreaths. 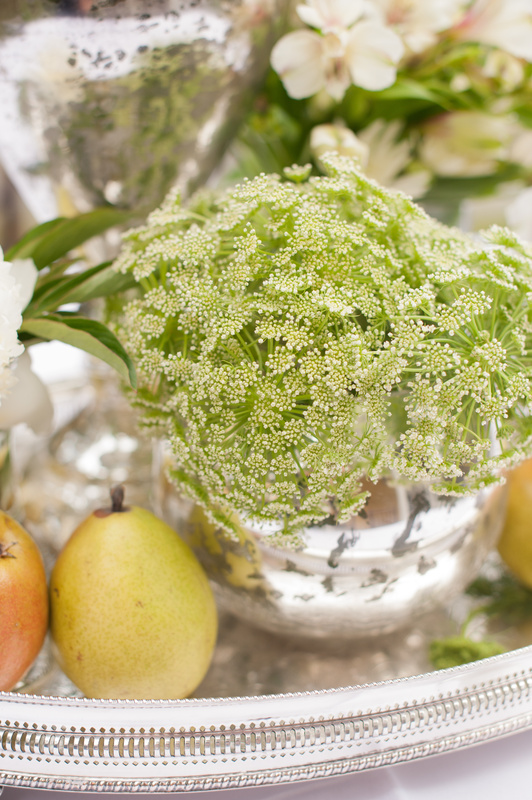 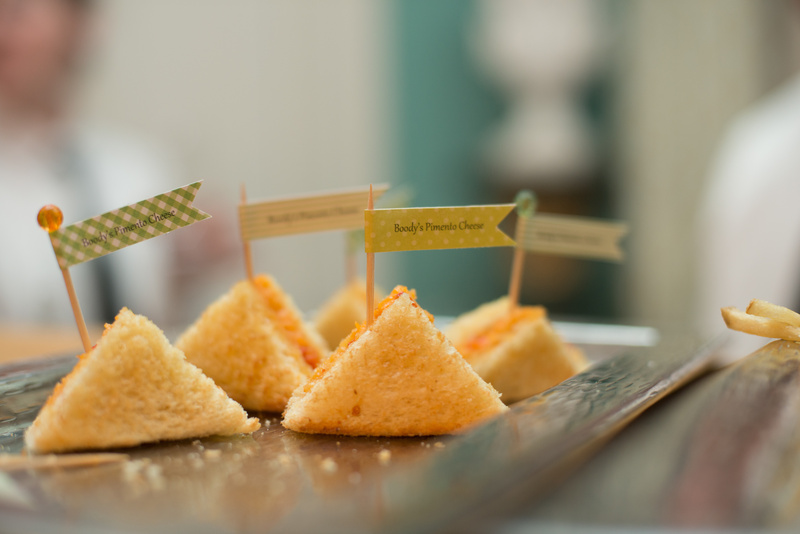 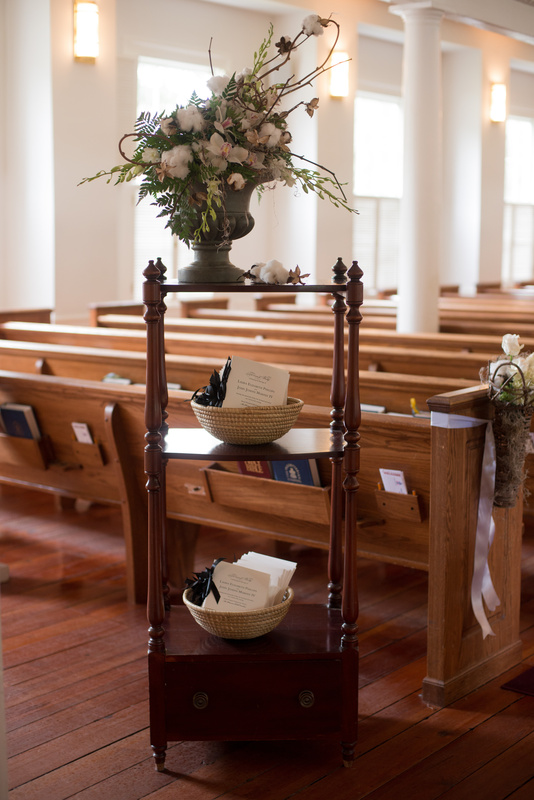 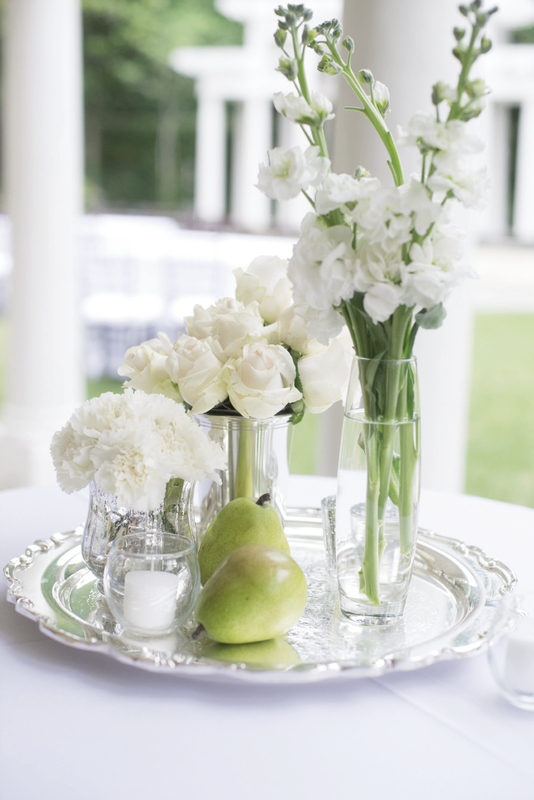 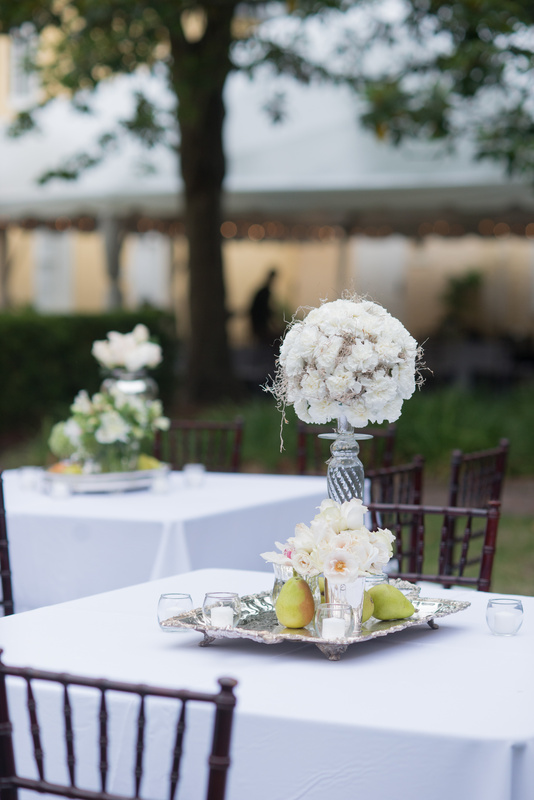 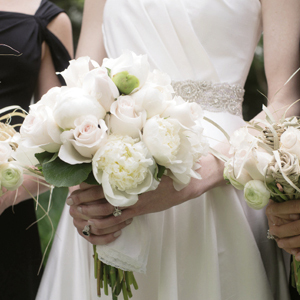 On the Big Day, white flowers joined green pears atop sterling silver trays borrowed from friends, and Laura’s grandmother Boody’s pimiento cheese sandwiches were served. 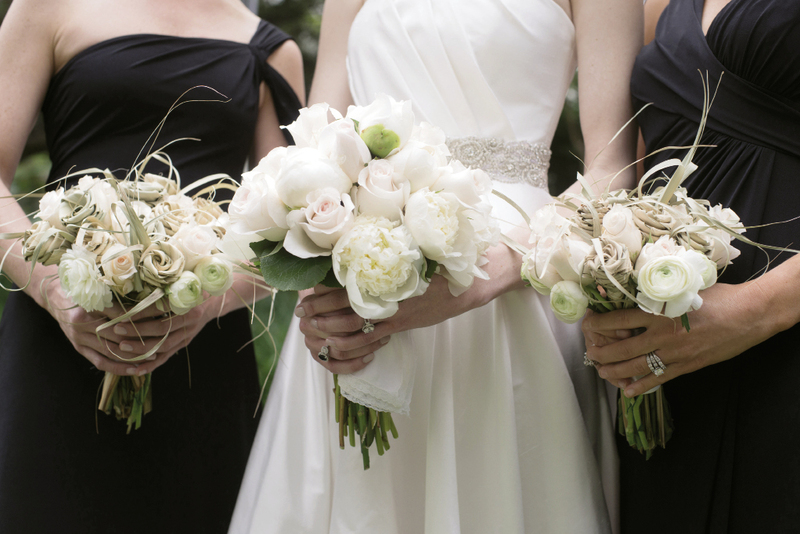 “It just seemed very natural and serene,” says Laura.